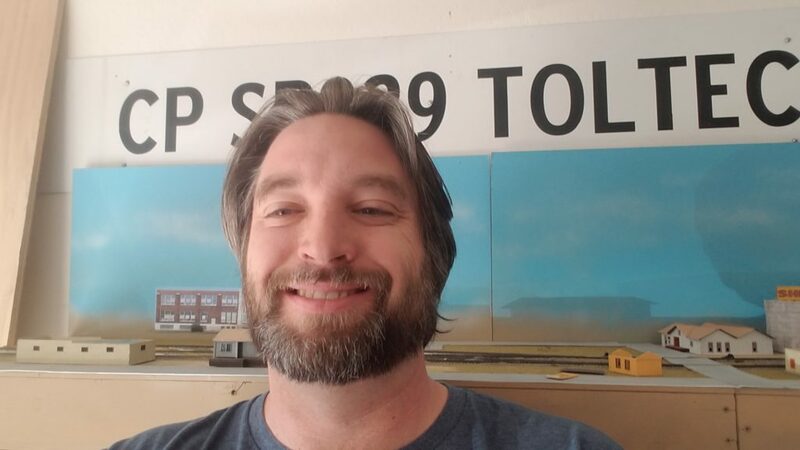 Tom Todd and 1 Guest are viewing this topic. 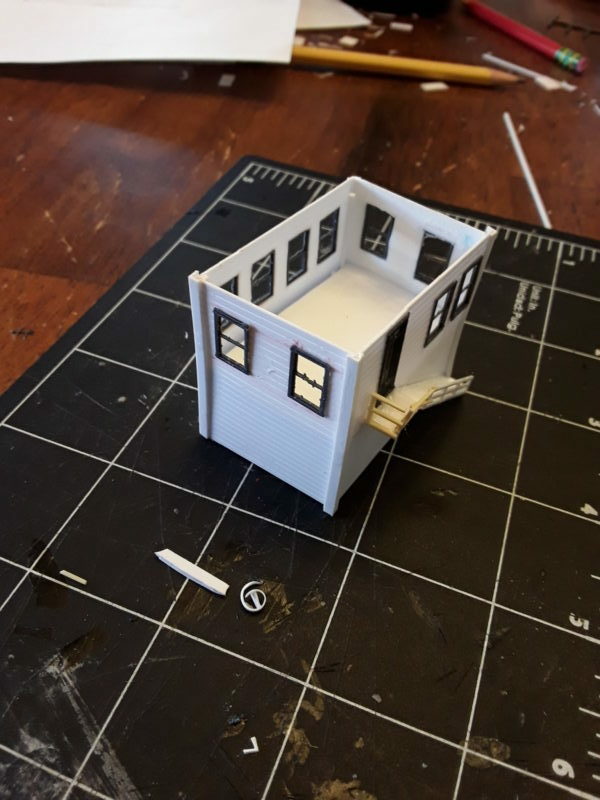 Looking at another scratch build. 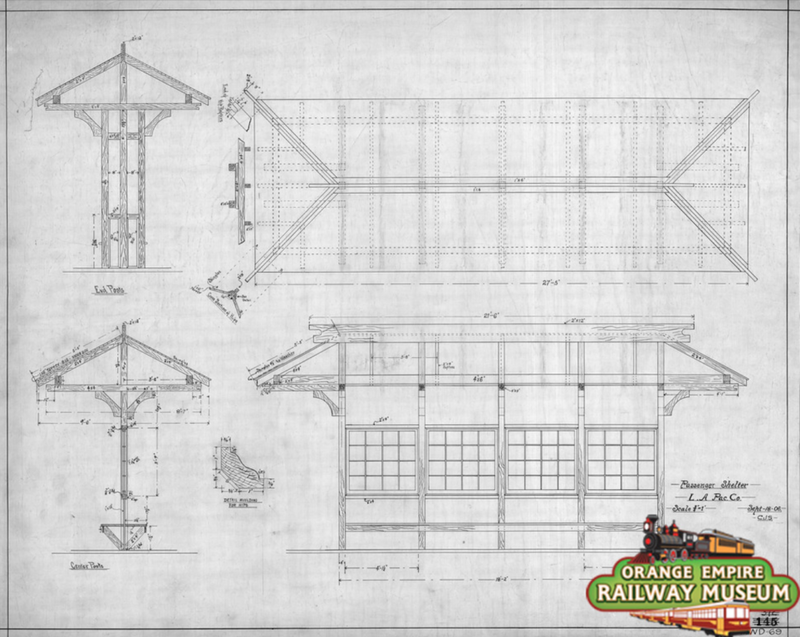 I have decided that the citizens of Playa Desnuda need a passenger shelter, and was guided to this structure. 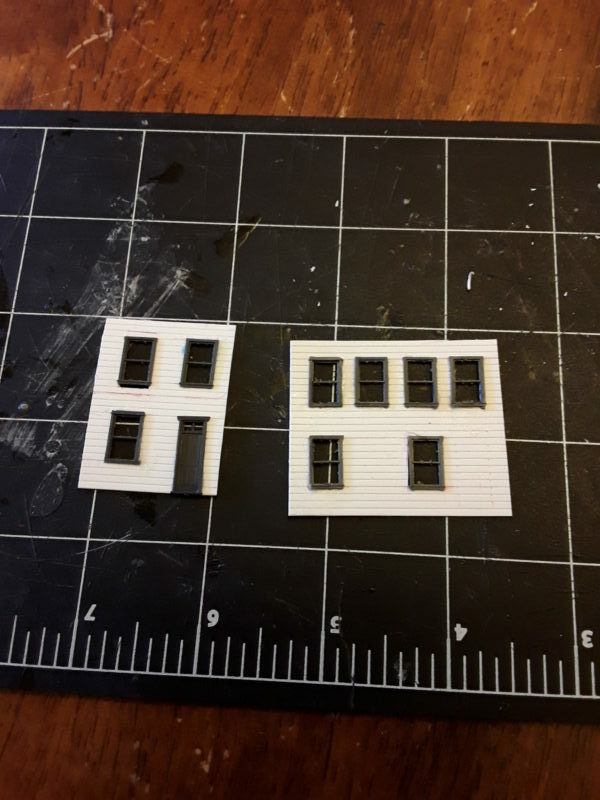 I am thinking about using a friend’s Cricut machine to make the end and center supports out of .020″ styrene. 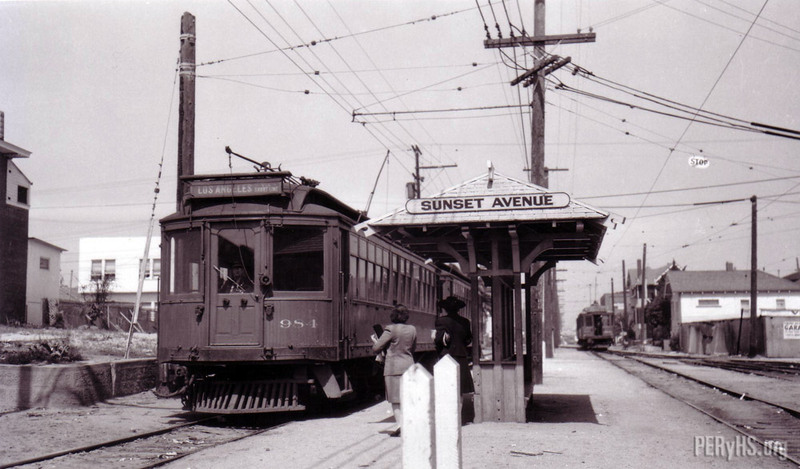 These passenger shelters were built around 1906 by the Los Angeles Pacific Railway, more commonly known as The Balloon Route. 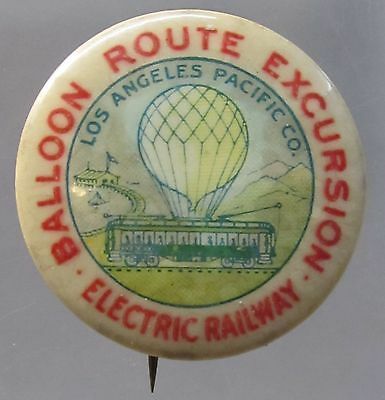 They had to have been one of last items built, due to the merger of the LAP into the Pacific Electric on March 19, 1906. 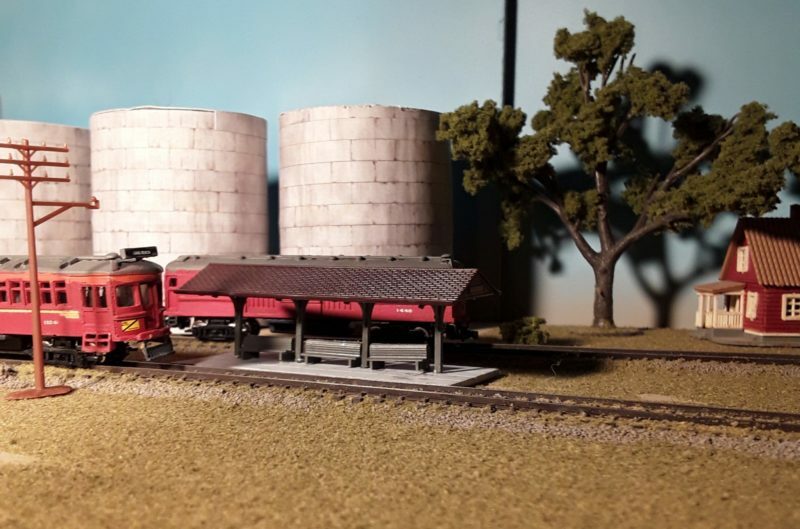 Yesterday, while cleaning up my garage, I came across an old kit that I forgot about. 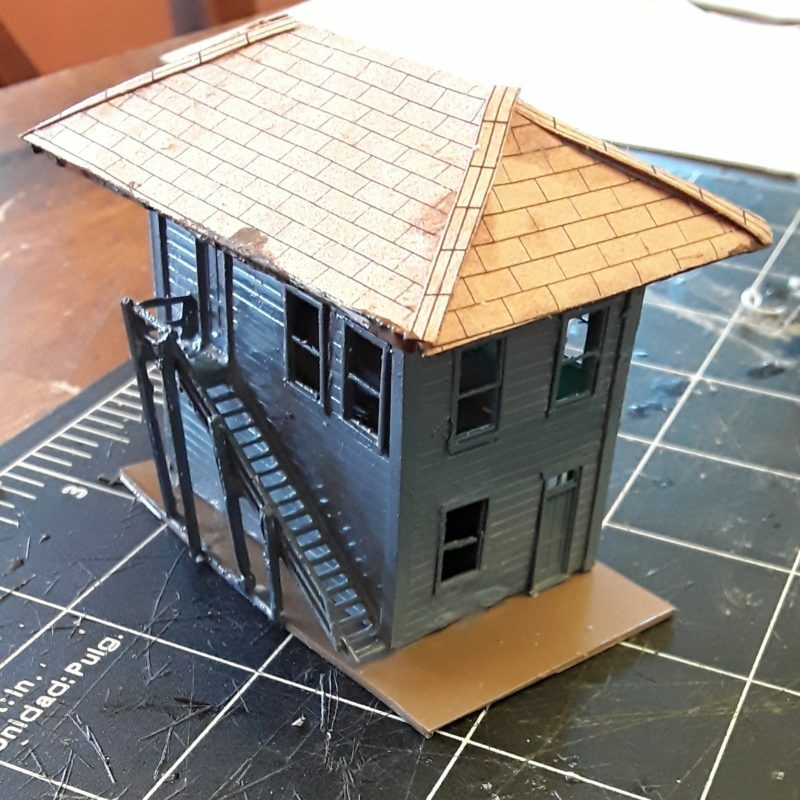 Today I painted up an Atlas Suburban Passenger Shelter in Pacific Electric colors. 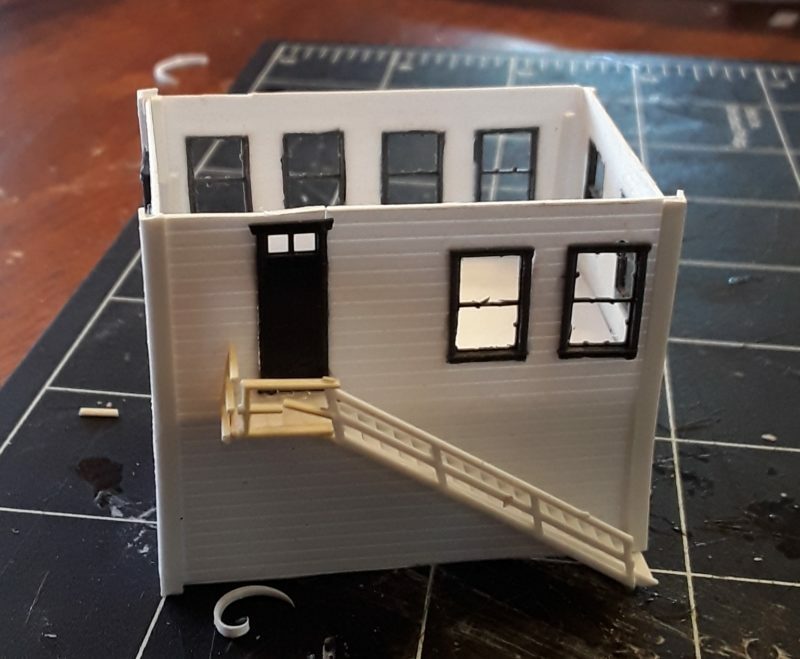 While not perfect, it is a decent stand in. 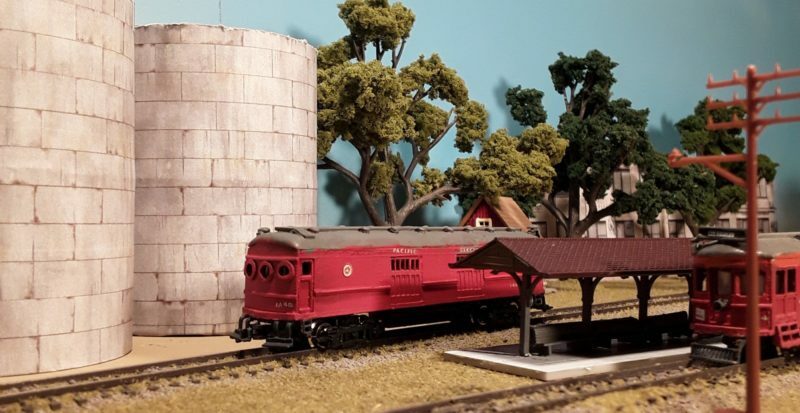 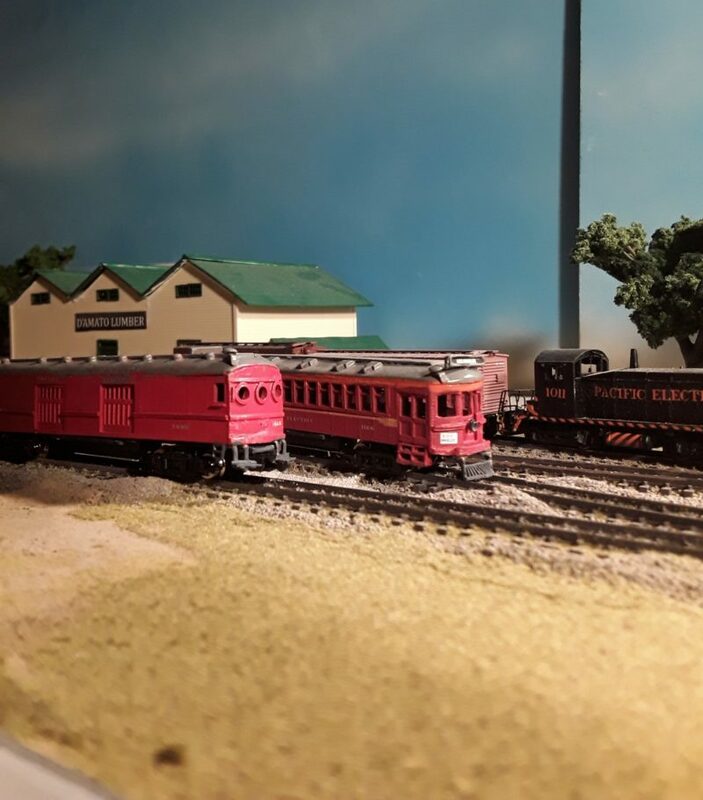 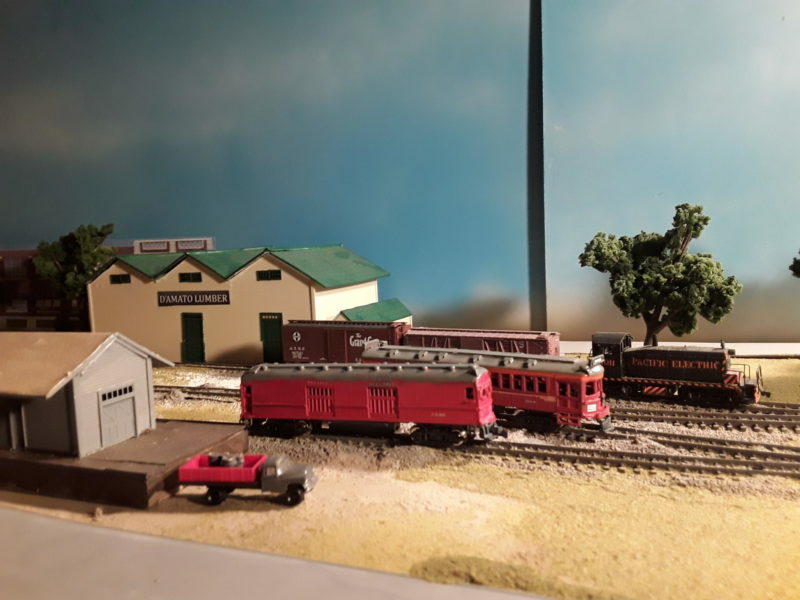 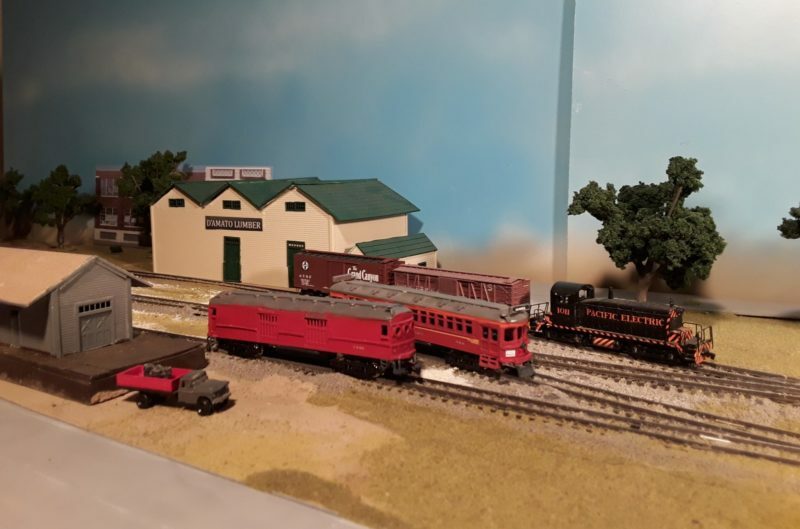 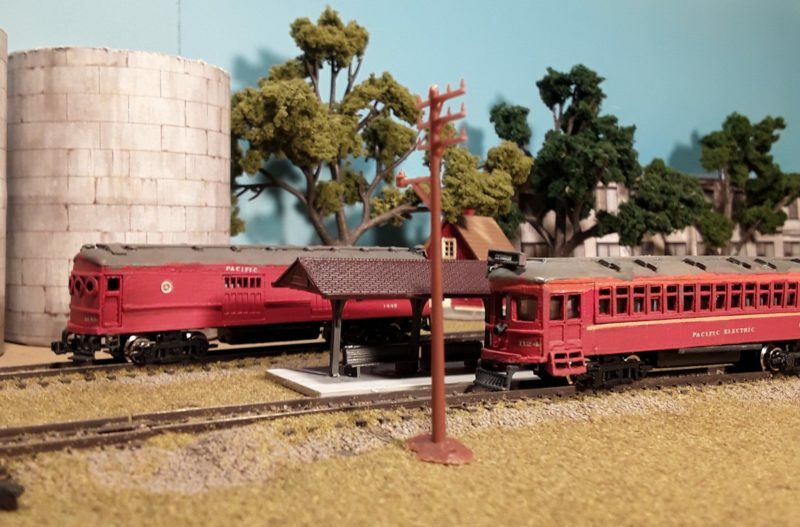 Just like my obsession with the freight station that started me down the path of modeling the Pacific Electric in N Scale, the Pacific Electric interlocking towers got stuck in my mind. 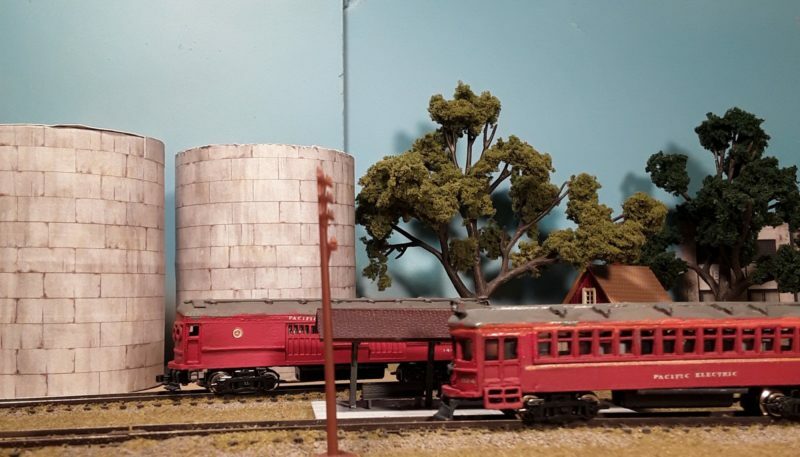 Unfortunately, there isn’t a kit in N Scale that matches the prototype. 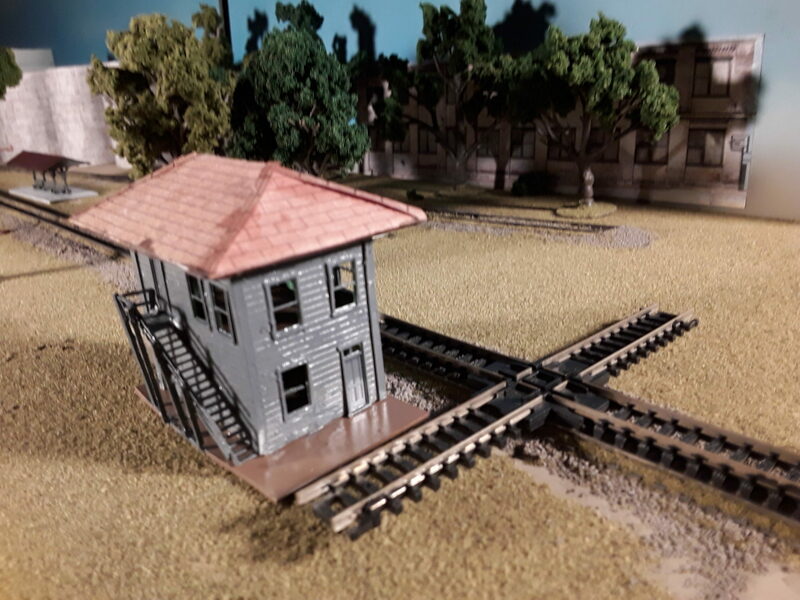 Fortunately, there are plans for a basic interlocking tower, just move some windows and doors around..
After months of not having a layout up (it was standing up in a corner of the garage), I mounted Playa Desnuda to the wall of my garage.